SAN GABRIEL >> Police arrested a man Sunday as he tried to cash a fraudulent check for thousands of dollars at a an Gabriel bank, officials said. Wen Cong Huang, 39, who has addresses listed in San Gabriel and Alhambra, was booked on suspicion of forgery, possession of “precursors to identity theft” and providing false information to police following his arrest about 12:40 p.m. at the East West Bank branch inside of the 99 Ranch Market, 140 West Valley Blvd., San Gabriel police Sgt. Rebecca Gomez said. Bank officials notified police that Huang was trying to cash a fictitious check, she said. Officers arrived at the bank branch and took Huang into custody before he left. In addition to the fraudulent check, Huang was in possession of identifying documents for several other people, Gomez said. He has a previous conviction in March of 2016 for forgery, for which he was placed on three years of formal probation, Los Angeles County Superior Court records show. In that case, which was first filed in 2013, eight additional charges, including burglary, possession of ID theft documents and false impersonation, were dismissed. Four days later, Huang was convicted of receiving stolen property and being under the influence of a controlled substance, records show. He was sentenced to one day in county jail and three years of summary probation. Huang was being held without bail pending his initial court appearance, according to Los Angeles County booking records. SOUTH WHITTIER >> Two men beat and stabbed a teenager after he refused to turn over his property during a robbery attempt at a South Whittier park late Saturday, officials said. The victim, a 15-year-old boy, was walking through Amelia Mayberry Park, 13201 Meyer Road, about 10 p.m. when two would-be robbers approached, Los Angeles County sheriff’s Sgt. Hank Ortega said. “The suspects accosted him and demanded he give them whatever he had,” the sergeant said. The teen refused. One of the attacker punched the teen in the face, while the other pulled a knife and stabbed him in the upper arm, Ortega said. The teen was taken to a hospital for treatment. Ortega said both attackers were last seen running east from the park. One was described as a white man, between 20 and 25 years old, 150 to 170 pounds, with blond hair. The second suspect, who wielded the knife, was described as Latino man between 20 and 25 years old, 5 feet 5 inches tall, 150 pounds, with a beard and mustache. LA MIRADA >> Officials are asking the public’s help in finding a 68-year-old La Mirada woman who suffers from dementia and has been missing since Thursday. 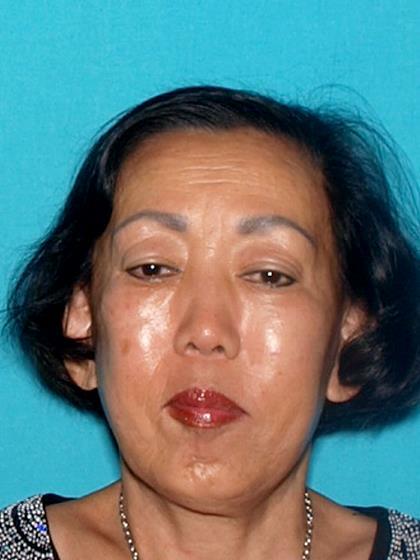 Sun Ja Choi was last seen about noon Thursday at her home in the 13000 block of La Jolla Circle, Deputy Kelvin Moody of the Los Angeles County Sheriff’s Department Information Bureau said in a written statement. “Ms. Choi suffers from dementia and the family is concerned for her well being,” he said. She’s described as Asian, 5 feet tall, 90 pounds, with short black hair and brown eyes. She was wearing red shirt and blue jeans when she disappeared. Anyone with information can reach the sheriff’s Norwalk station at 562-863-8711, or the Sheriff’s Homicide Bureau, Missing Persons Unit at 323-890-5500. 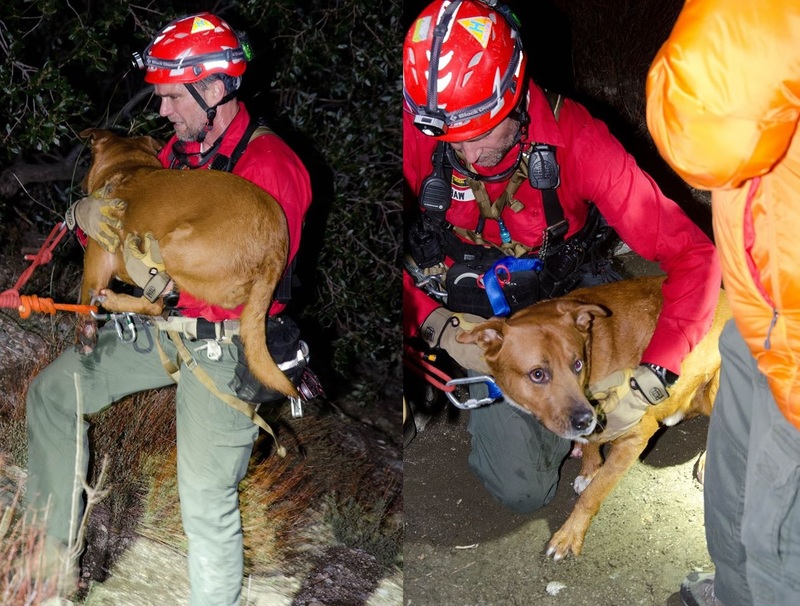 ANGELES NATIONAL FOREST >> A mountain rescue team rescued a woman and her aviophobic dog after they became trapped at the base of 800-foot-deep ravine in the Angeles National Forest north of Altadena on Friday, authorities said. Members of the Los Angeles County Sheriff’s Department’s Altadena Mountain Rescue Team responded to reports of a distressed hiker about 3:30 p.m., sheriff’s officials said in a written statement. “Sheriff’s Air Rescue 5 located a female adult hiker just south of Mueller Tunnel, off Mt. Lowe Fire Road, approximately 800 feet over the side of the cliff,” according to the statement. Rescuers hoisted the woman into the helicopter and took her to a hospital for treatment of hypothermia. The woman had been hiking with her 40-pound pit bull mix, named Zeus. But the flight crew was not able to capture the dog and were forced to leave it behind as they tended to its owner. Montrose Search & Rescue Team members joined in the endeavor, and two rescuers were lowered to the dog be helicopter. “A second attempt was made to secure the dog in a harness to be flown out, however the dog was not cooperative and Air 5 left the area,” according to the statement. The stubborn pet, “didn’t feel like a helicopter ride,” Deputy Dan Paige said via Twitter. So officials used hundreds of feet of rope to hoist Zeus, and the rescuers, up to the roadway. The dog, which appeared uninjured, was taken to an animal shelter in Baldwin Park. A civilian volunteer working on the rescue was injured when a large rock fell about 40 feet, striking him in the head, shoulder, arm and hand, sheriff’s officials said. It was determined at the hospital that the rescuer suffered a fracture and an inch-long laceration to his finger. PICO RIVERA >> A man slashed another man in the back of the head during a dispute at a Pico Rivera gym on Friday night, authorities said. The incident unfolded about 9:10 p.m. at L.A. Fitness, 8909 Washington Blvd., Los Angeles County sheriff’s Lt. Noe Garcia said. Rdylan Jordan Chavez, 26, of East Los Angeles was using the gym when he became involved an argument with another gym patron, described as a man estimated to be in his 20s, the lieutenant said. At some point during the dispute, Chavez slashed the victim in the back of the head with a knife, he said. The victim left the gym and went to the nearby sheriff’s Pico Rivera Station to report the stabbing, Garcia said. Deputies found Chavez still at the gym and took him into custody without a struggle. He directed deputies to a pocket knife which he hidden in the gym. The victim suffered a significant gash, but his injuries were not life-threatening, Garcia said. The suspect and victim were acquainted with one another through the gym, he added. Chavez was being held in lieu of $30,000 bail pending his initial court appearance, county booking records show. EL MONTE >> Police jailed a convicted felon from Walnut early Friday after recovering 3,300 marijuana plants, 308 pounds of finished pot, an ounce of methamphetamine and a loaded gun from a warehouse in El Monte, authorities said. Brian Lee Skipper, 46, was arrested during the 7 a.m. raid at a commercial building at 2645 Merced Ave., according to El Monte police Sgt. Richard Luna. Investigators showed up with a search warrant, seeking an illicit marijuana-growing operation. Police also allege the grow operation was wired to bypass the electric meter and steal power from the grid. Skipper was booked on suspicion of cultivation of marijuana, possession of marijuana for sales, operating a chemical drug lab, possession of methamphetamine for sale, being a convicted felon in possession of a firearm and theft of utility services. The seized marijuana and methamphetamine carry an estimated street value of $750,000, Luna said. Skipper, a convicted felon who was on active probation, was being held in lieu of $75,000 bail pending his initial court appearance, according to police and Los Angeles County booking records. Skipper just pleaded guilty in January of Possession of methamphetamine for sale and theft of utlities in a case first filed in 2014, according to San Bernardino Superior Court records. He also admitted a prior drug offense. Additional charges of cultivation of marijuana and possession of marijuana for sales were dismissed. He was also convicted in San Bernardino County of domestic abuse in June of 2006, and of making criminal threats in 2001, records show. In Los Angeles County, Skipper’s criminal history stretches from 1989 to 2011 and includes convictions for drug possession, assault and battery, an illegal weapon violation and driving on a suspended or revoked license. Anyone with information is encouraged to contact El Monte police at 626-580-2100, or by email at tips@empd.org. SAN GABRIEL >> A jury convicted a Pasadena man of murder and other charges on Thursday for fatally shooting his own sister, and attempting to shoot her 13-year-old son, at their San Gabriel home after the sister criticized him for physically abusing his then-girlfriend, officials said. 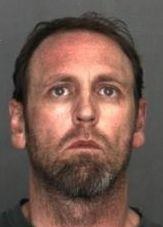 A jury in Alhambra convicted Johnny Goins, 32, of first-degree murder, attempted murder and two counts of shooting at an inhabited dwelling for the March 5, 2015, attack at the victims’ apartment in the 5100 block of Rosemead Boulevard, in an unincorporated county area just east of San Gabriel, Los Angeles County District Attorney’s Office spokeswoman Sarah Ardalani said in a written statement. The jury also found true the special allegation that he personally and intentionally discharged a firearm during the crime. 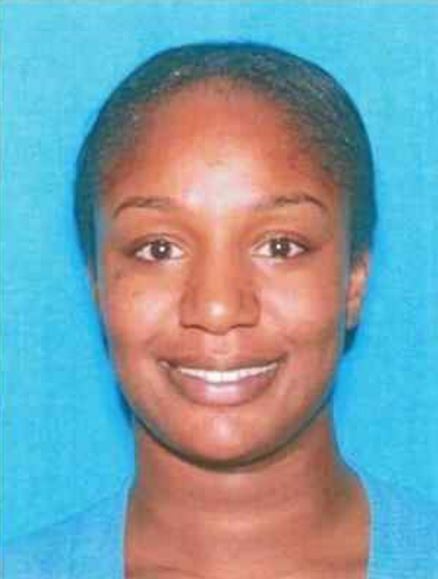 Tanaya Goins, 32, died after Goins arrived at her apartment about 6:40 a.m. and opened fire, Lt. Dave Dolson of the Los Angeles County Sheriff’s Homicide Bureau said shortly after the slaying. Tanaya Goins was shot in the head and torso, officials said. Paramedics pronounced her dead at the scene. Her 13-year-son, the shooter’s nephew, was wounded in the arm. Goins carried out the shooting because he was enraged by a text message conversation his sister had with his then-girlfriend. “According to evidence presented at trial, Johnny Goins’ girlfriend alerted Tanaya Goins that the defendant had tried to suffocate her,” according to Ardalani. “In a series of text messages, the girlfriend also stated that the defendant told her he suffered from post-traumatic stress disorder because he experienced violence as a child. “Tanaya Goins told the girlfriend that her brother did not suffer child abuse and that he should not be assaulting women,” Ardalani said. This prompted Johnny Goins to arm himself with a revolver and head to her apartment, where he fired a volley of shots through the front door and window. Detectives identified Johnny Goins as the suspect and arrested him in Moreno Valley later the same day. Ardalani said Goins faces up to 77 years to life in state prison when he returns to court for sentencing on April 6. NORWALK >> A drive-by shooting in a Norwalk residential neighborhood left one man wounded, authorities said. A man was walking south along Horst Avenue, approaching 165th Street, when shots were fired from a passing car, Los Angeles County sheriff’s Sgt. Jaime Alvarez. The victim suffered a gunshot wound to his abdomen, the sergeant said. He was taken to a hospital with injuries not believed to be life-threatening. A motive in the shooting had not been determined.